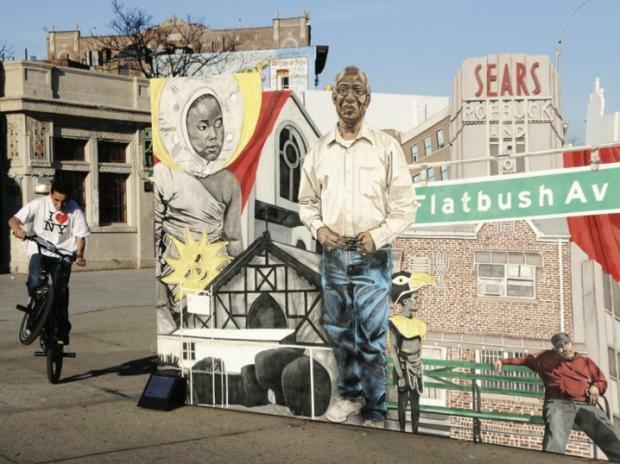 DUMBO — Seven images were chosen in a borough-wide competition to symbolize Brooklyn. Brooklyn Tourism, as part of an initiative of Brooklyn Borough President Marty Markowitz and in collaboration with DUMBO's United Photo Industries, presented the the Mi Brooklyn photo competition with the goal of choosing seven images to represent the borough in a new set of postcards. "Mi Brooklyn presents the ever-evolving identity of Brooklyn to the world - both the new & the old - because that's what makes Brooklyn stand out, " said Sam Barzilay of United Photo Industries. "And that's why the photos span from Brooklyn landmarks to public art installations, to rooftop farming, and everything in between." Winners were chosen from a pool of over 1,000 images submitted by local photographers. The winners Don Alman and Mustafa Önder tied for first place with photographs of Grand Army Plaza and Flatbush Avenue. The second place image, taken by Monia Lippi, shows a Brooklyn night and third place winner Douglas Ljungkvist captures Coney Island on the Fourth of July. Judges included Brooklyn Borough Historian Ron Schweiger, Pratt Institute Professor of Photography Anne Turyn, and Barzilay, Creative Director of United Photo Industries. Postcards will be distributed around the globe in an international campaign organized by Brooklyn Tourism and made available for free at Borough Hall.